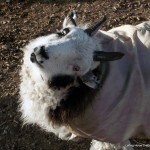 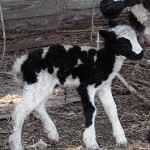 Havencroft Farm is home to Shawn Hoefer, Jeanette Larson, Lena Larson, and a bunch of Jacob Sheep, Angora Goats, Alpine Dairy Goats, Chickens, Alpacas, Dogs, Cats, and a Llama. 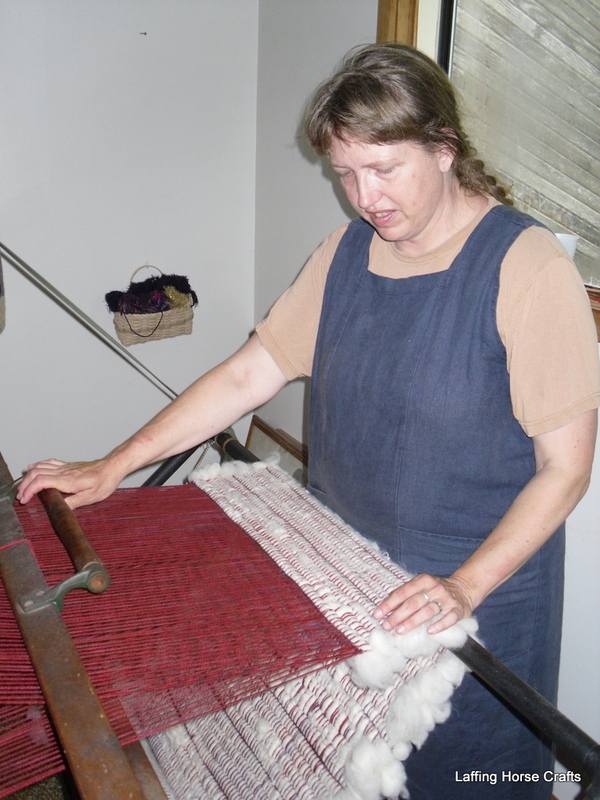 Jeanette started out with crochet and costume design, but found her calling when she began spinning and weaving. 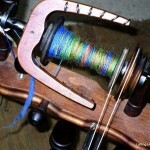 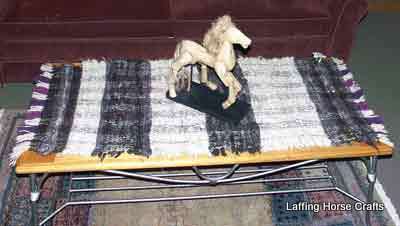 Now, using many spinning wheels and looms, she spins yarns from the fleeces of her critters that range from funky to fabulous. 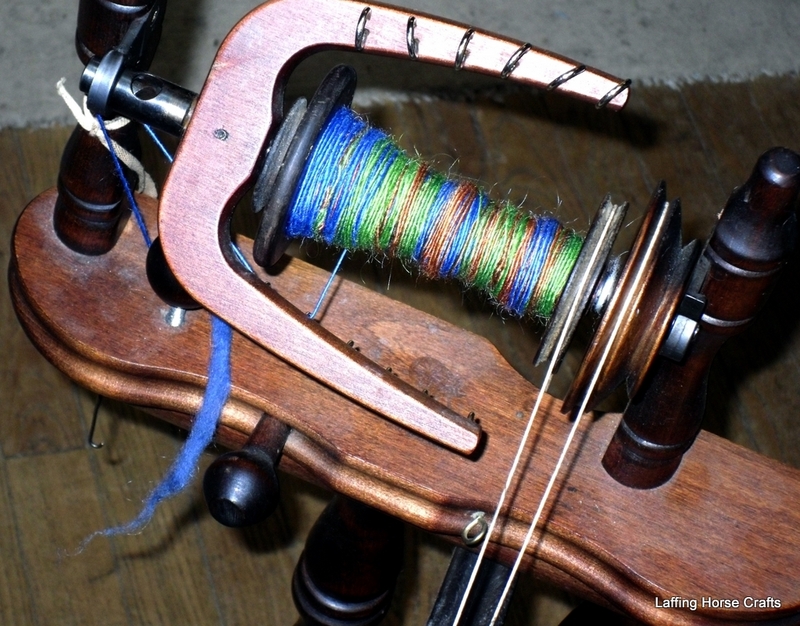 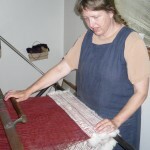 Many of those yarns go into the shawls she creates on the triangle looms hanging on the walls. 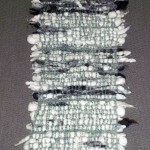 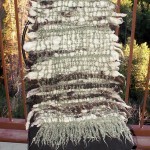 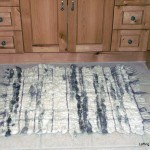 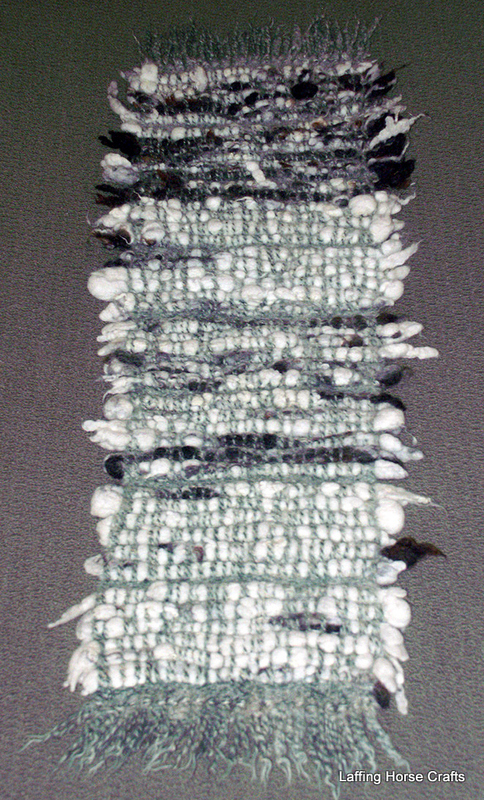 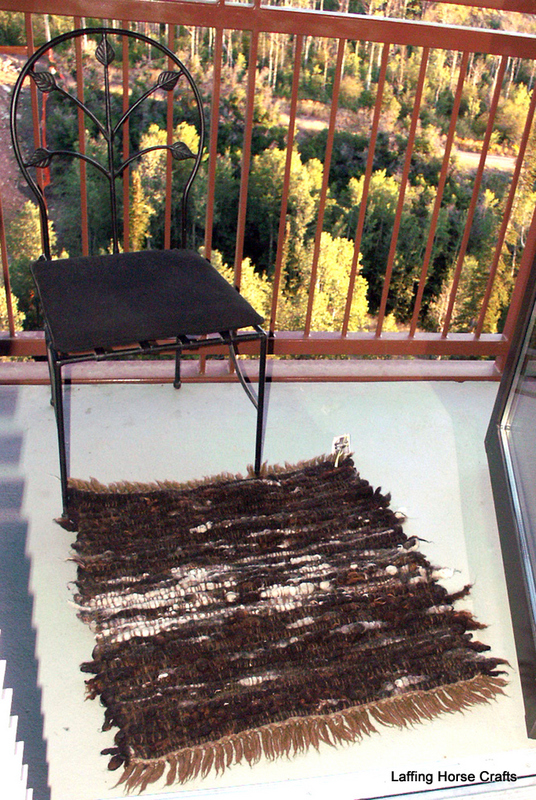 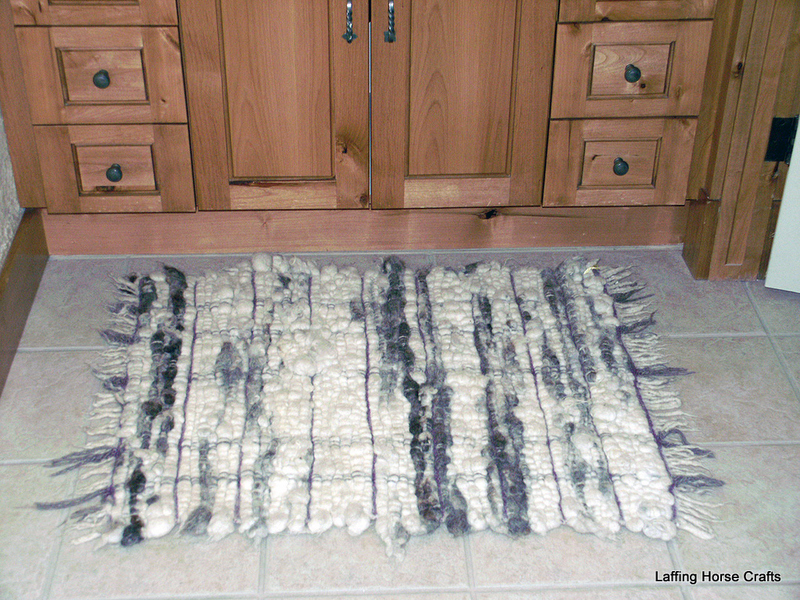 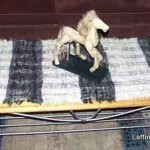 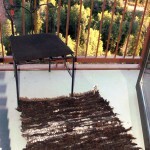 The fleeces not spun are woven into soft, durable, comfortable Fleecyful Rugs. 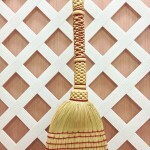 recreating them, adding in his own touch of style. 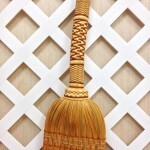 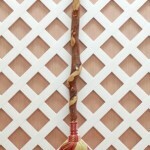 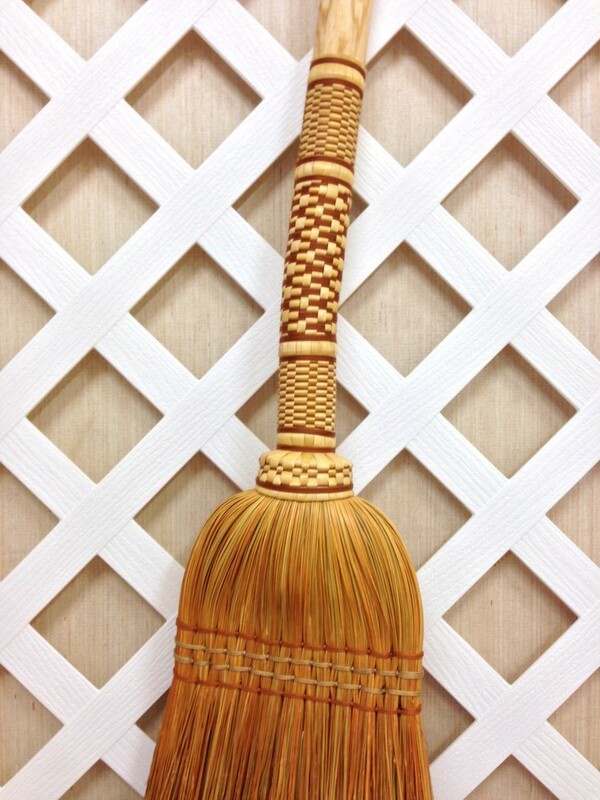 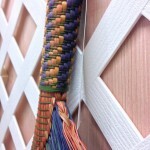 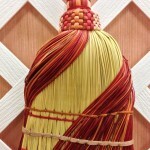 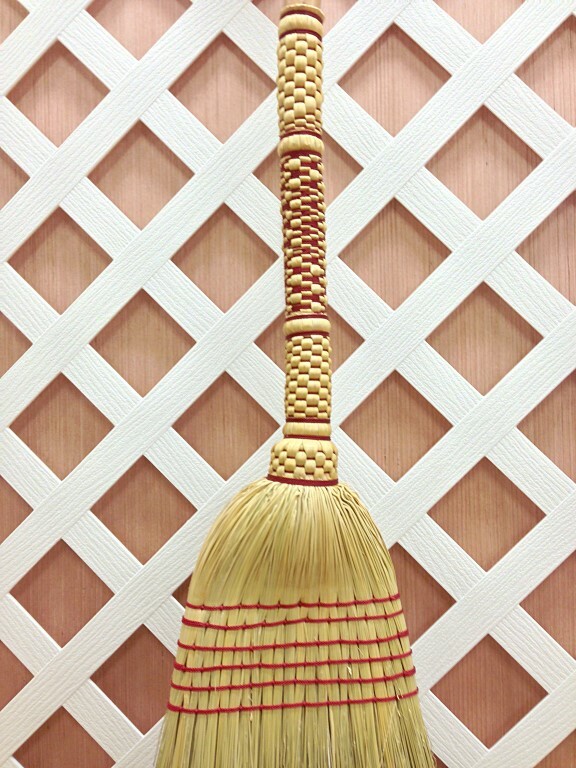 In fact, he’s won several national craft broom competitions. 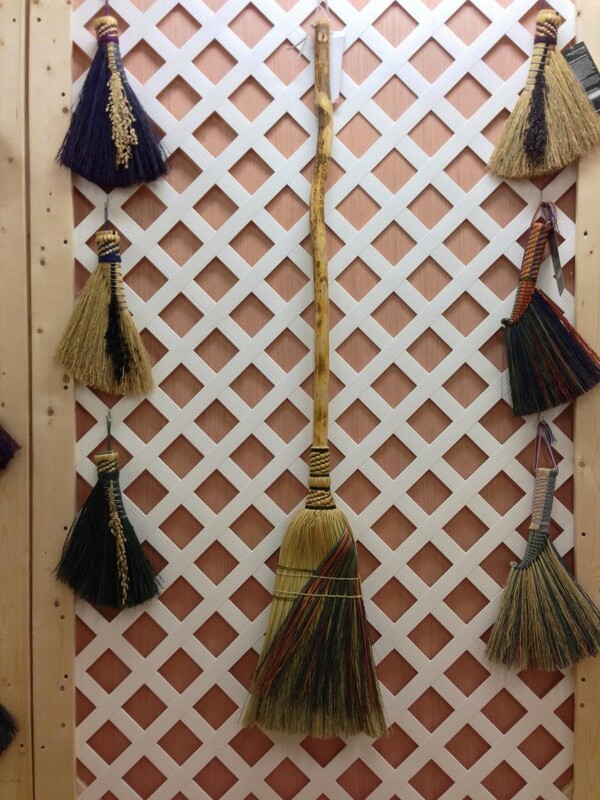 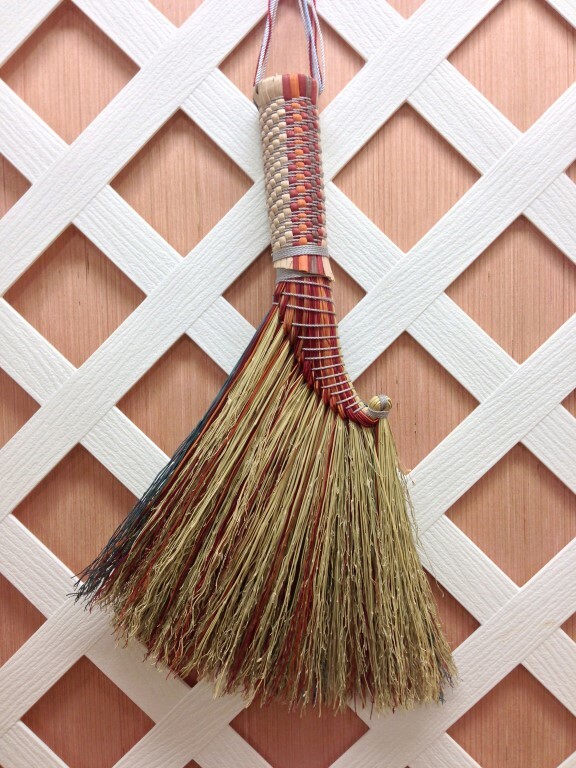 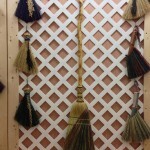 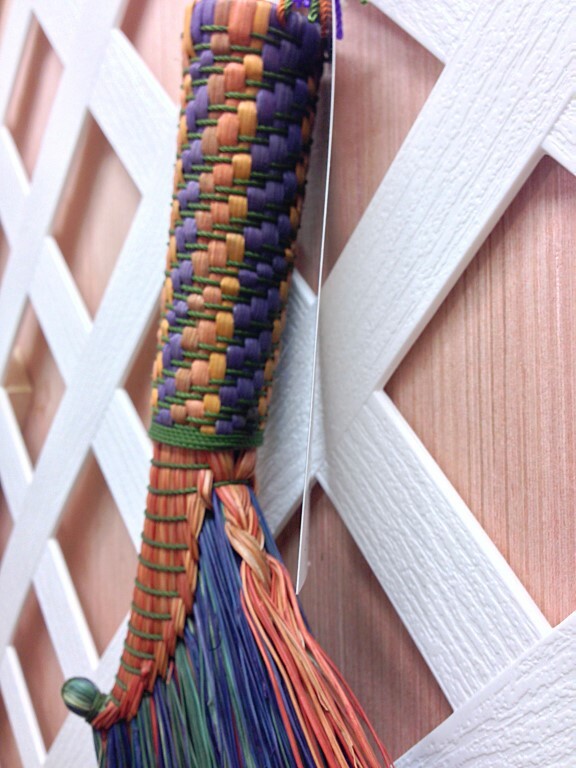 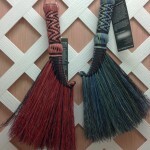 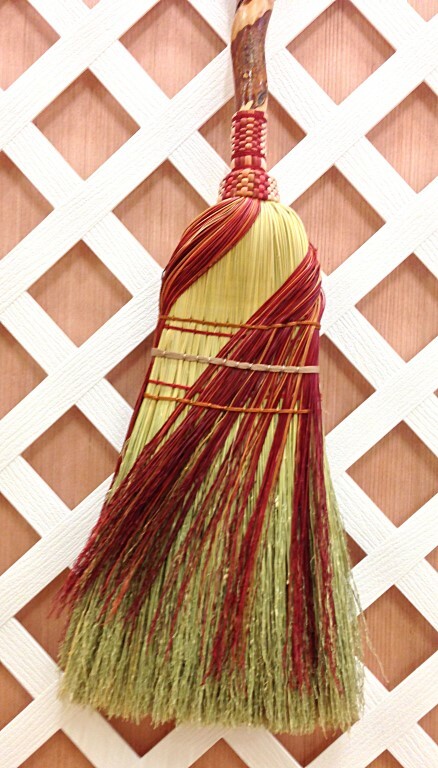 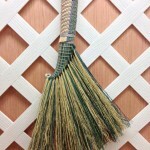 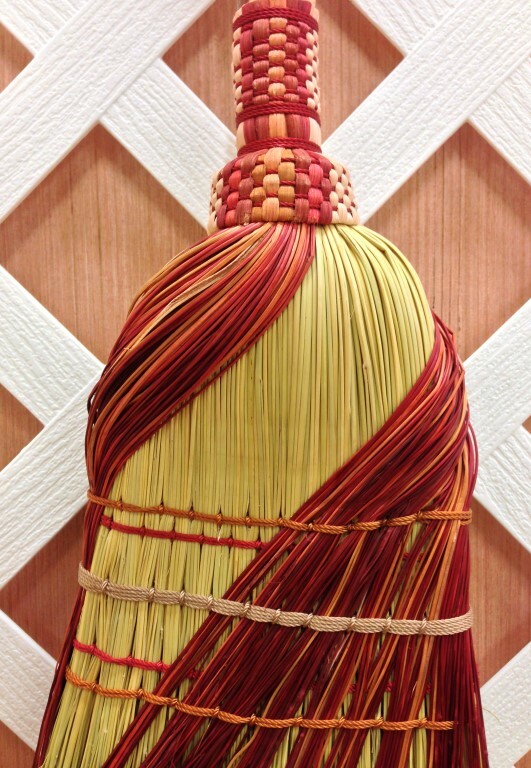 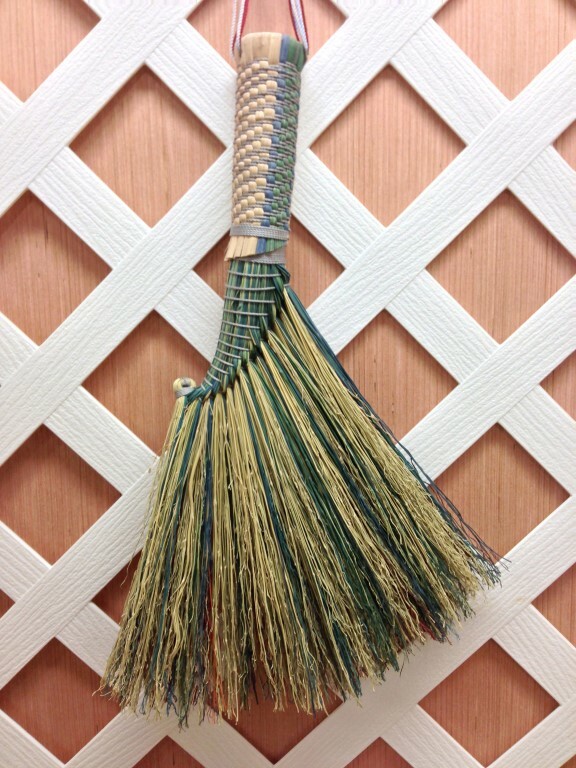 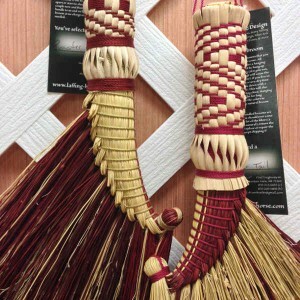 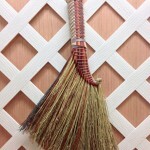 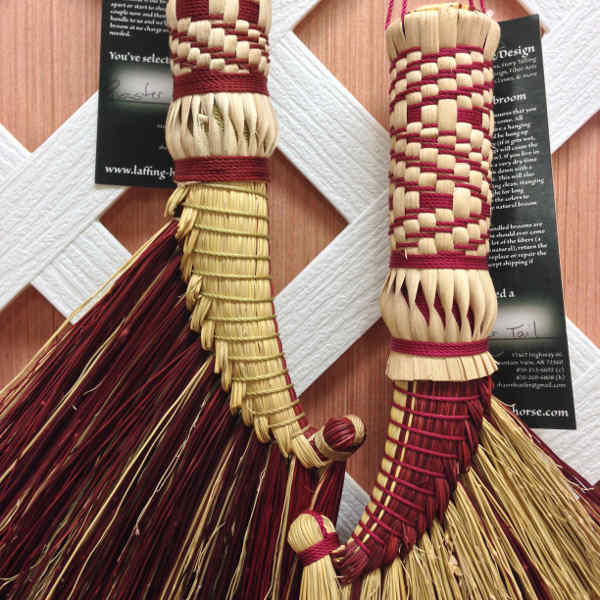 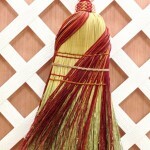 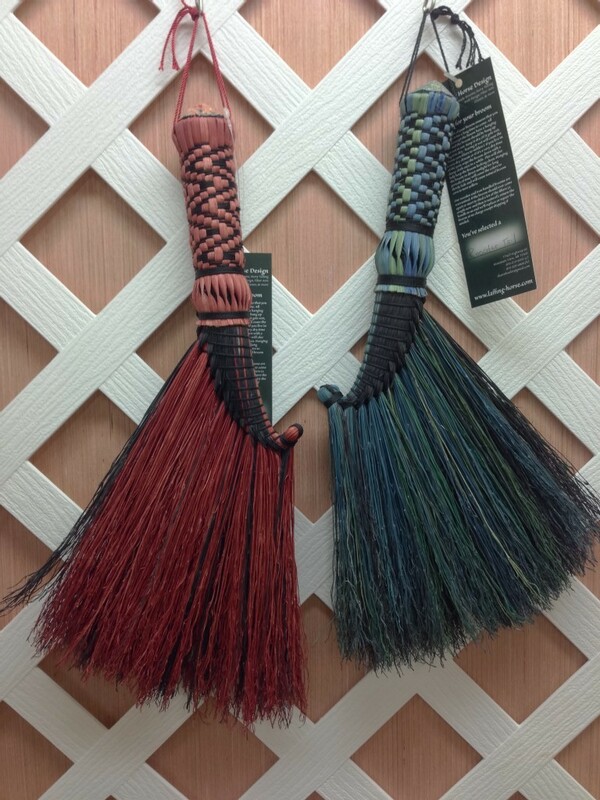 They believe in craft from the ground up, raising their own fiber (except the majority of the broomcorn), making many of their own tools and the handles used in making the brooms. 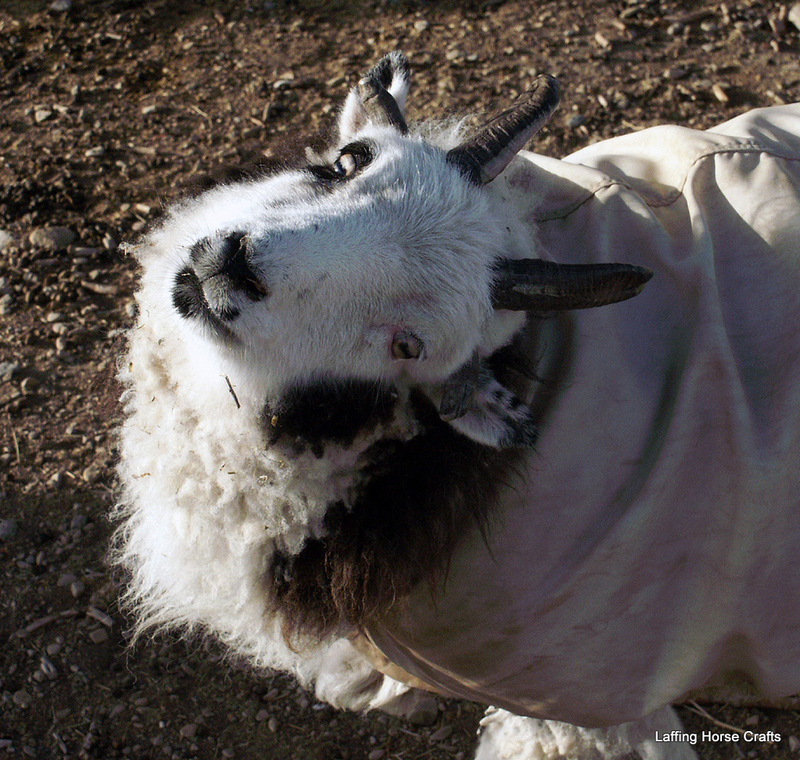 You’re invited to come and see the process, meet the critters, and visit with them at Havencroft Farm during the Off the Beaten Path Studio Tour. 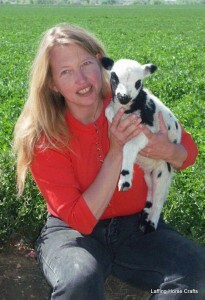 They are located 2 miles west of Mountain View’s city limit sign. 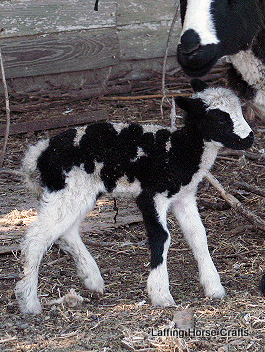 They’re on the south side of the road, the second driveway after Mountain View Custom Butchering.